Experience the geological wonder of Pamukkale and the ruined city of Hierapolis on this day trip from Bodrum. 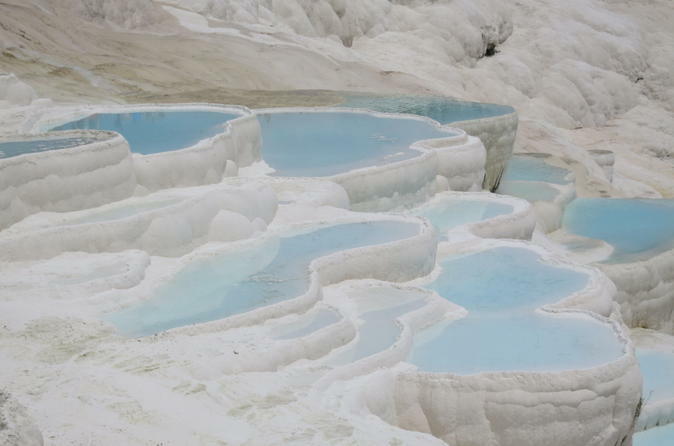 Witness the spectacular white terraces and pools of Pamukkale, known as ‘Cotton Castle’ to the Turks, which have been formed by the calcium of cascading hot springs. Then, explore Hierapolis, a Greco-Roman city built near the springs. View its colonnaded roads, theater and necropolis, and perhaps swim in Pamukkale’s modern thermal pools or Roman-built Cleopatra’s Pool (own expense). An included lunch adds an extra enjoyable touch. Witness one of Turkey’s greatest natural wonders and its most iconic archaeological site on this rewarding 2-day tour from Bodrum. Travel by air-conditioned coach with an expert guide, and visit Ephesus, one of the Mediterranean’s best-preserved ancient cities. Marvel at timeworn monuments including the Library of Celsus and tread marble-paved streets once crowded with toga-wearing Romans. Then, admire the snow-white, calcified terraces and pools of Pamukkale, and roam the remains of Hierapolis, the ancient spa city built above. Overnight accommodation, transport and many meals are included on this must-do tour. 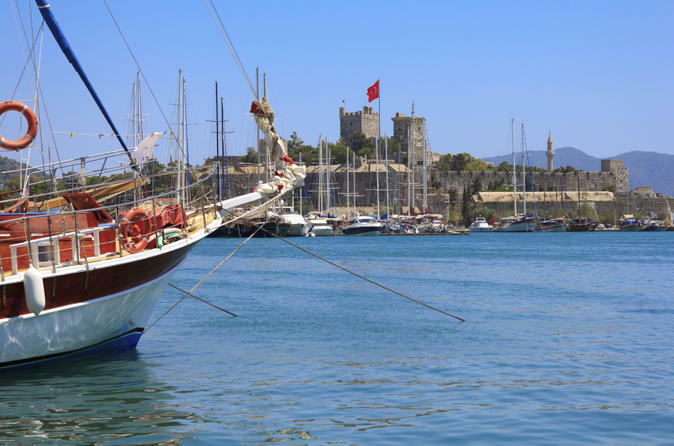 Spend a day cruising around Turkey’s glorious Bodrum Peninsula on a full-day cruise from Bodrum! Soak up the scenery from out on deck and admire the region’s sun-drenched shoreline framed by forests and hills. The route taken on the relaxing cruise includes several stops for swimming, snorkeling and walking, plus a visit to Kara Ada, a gorgeous yachting island that’s known for its mineral-dense waters. Lunch is served roughly halfway through the day and beer, wine and soft drinks are available while on board (own expense). Sail by Turkish 'gulet,' a traditional wooden sail boat, around the breathtaking Gulf of Gökova on a 7-night cruise from Bodrum. 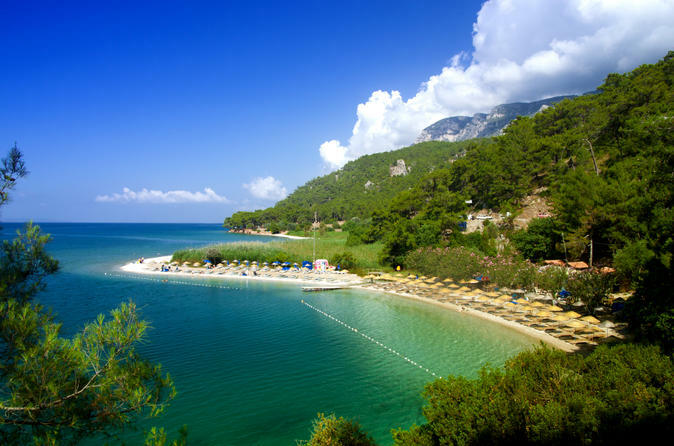 Introducing you to the off-the-grid Aegean alcoves and islands that seem to be untouched by the outside world, the tour showcases the delights of rural Turkey. All meals are included on board, leaving you to ponder little else besides how to spend your time; swim in pure-blue seas, walk through pine forests, ogle heart-stopping scenery or simply laze under the sun. Optional excursions, such as a visit to the ancient city of Kaunos near Dalyan, can also be arranged. 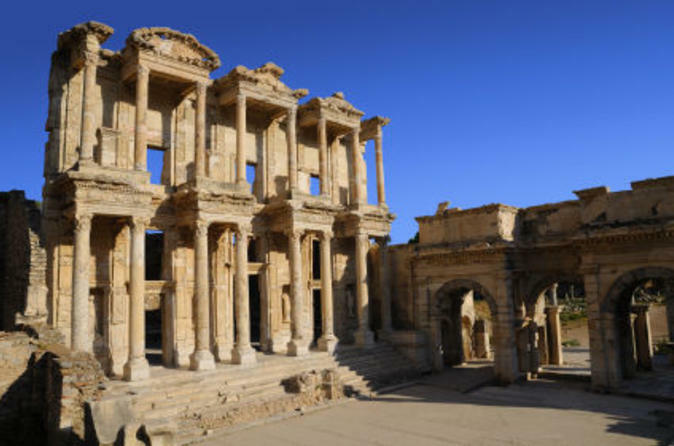 Be whisked 2,000 years back in time with this captivating full-day trip to Ephesus from Bodrum. Travel by air-conditioned coach and leave the 21st century behind as you explore one of Ancient Rome’s greatest cities with a knowledgeable guide. See the majestic Library of Celsus, Temple of Hadrian and the Great Theatre, and imagine the long-gone noise and bustle as you walk the marble streets. With a stop for breakfast (own expense) and an included lunch, the tour is a must for anyone with even the faintest interest in history. 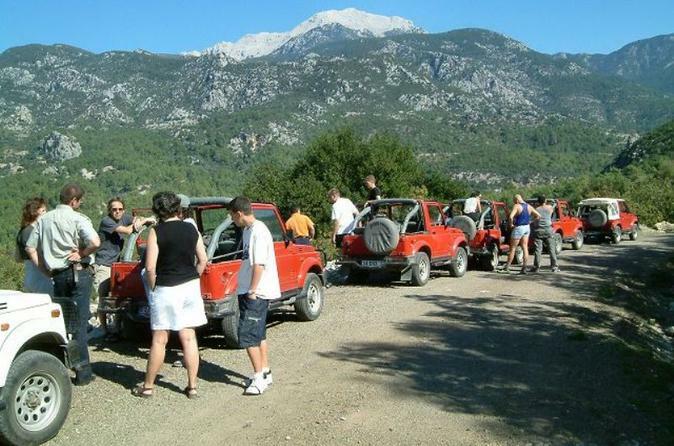 Delve deep into the countryside of the Bodrum Peninsula on a full-day tour by jeep! As a local guide drives the open-top 4x4 vehicle, sit back and enjoy the scenery, discovering shaded forests, sun-blessed bays and craggy mountains. Pass through the villages of Ciftlikkoy, Etrim and Mumcular where traditional Turkish life still lingers; enjoy a BBQ lunch and swimming break in Mazi; and go off-road in the forests that surround Bodrum. 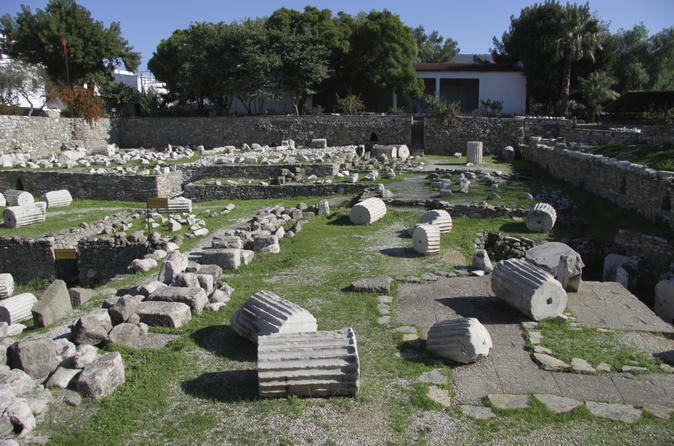 When you pull into Bodrum cruise port, get a taster of the city’s ancient past on this 3-hour private shore excursion. Perfect for history buffs and those short on time, the tour whisks you straight to Bodrum's archaeological gems in a comfortable private vehicle. 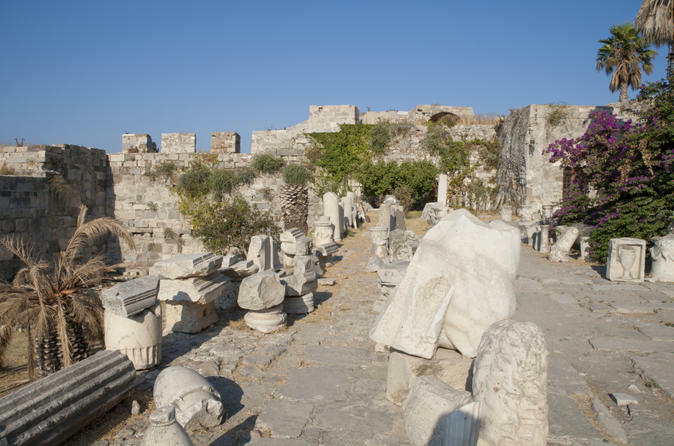 Explore the ruins of the Mausoleum of Halicarnassus, the once-magnificent royal tomb that graced Halicarnassus, the ancient forerunner of Bodrum. Then, visit stunning Bodrum Amphitheater, a 13,000-seater theater cut into the city’s hillside. Enjoy the full attention of your guide on this private excursion. Visit the Greek island of Kos on an independent day trip from Bodrum, and enjoy a full day of free time to get to know its history and scenery! Bask on breathtaking beaches, shop for Greek island souvenirs or discover historical landmarks such as Kos’ 14th-century Castle of the Knights. Round-trip transport by hydrofoil is included, but all activities, entrance fees and food are at your own expense. While your ship is in Bodrum port, see the city’s three historical big-hitters on this 4-hour private shore excursion. 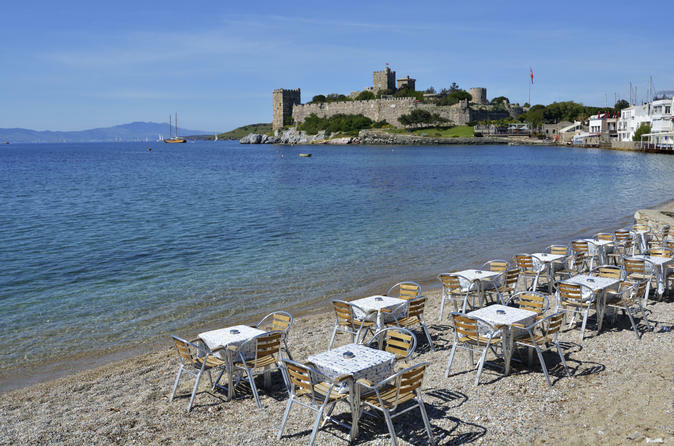 With an expert guide beside you, visit Bodrum Castle (Castle of St Peter), the picture-perfect Crusader fortress perched between the city’s two bays. View its dungeons and battlements, and roam its Museum of Underwater Archaeology, stuffed with ancient shipwrecks and undersea treasures. Finish up at the once-mighty, ruined Mausoleum of Halicarnassus, and massive Bodrum Amphitheater, both dating from the 4th century BC. Enjoy personalized attention from your guide on this private excursion.